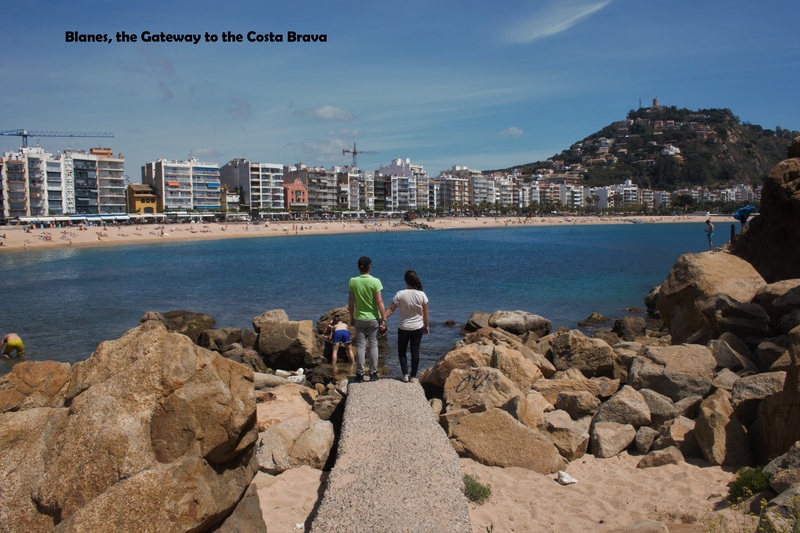 Blanes, the Gateway to the Costa Brava. 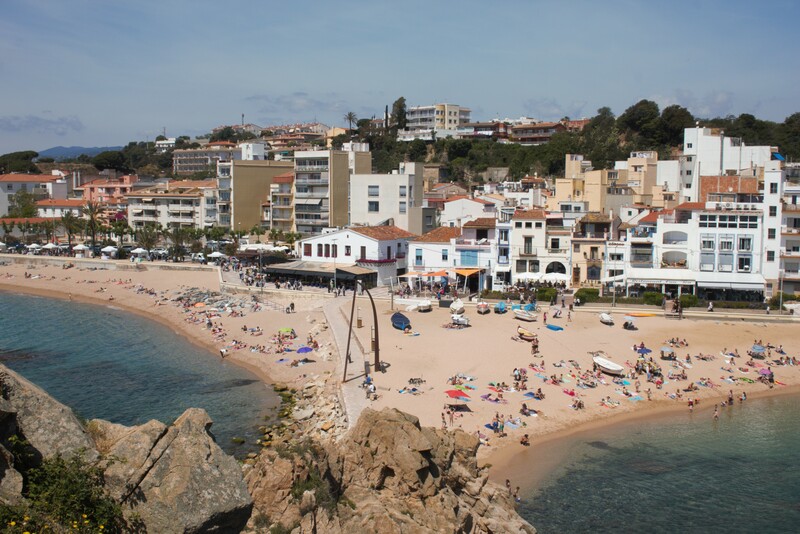 Blanes has more than four kilometres of coastline, offering a variety of beaches. Beautiful beaches, mild and clean water, great restaurants, shops for every budget, and plenty of entertainment. The rock, which you can climb is called Palomera and marks the starting point of the Costa Brava. Platja de Blanes, the main beach, with an easy access from the old town, equipped with all the necessary facilities and services. Platja de S’Abanell, the biggest beach in Blanes, it´s over 2000 metres long. You will find it on the left side of the landmark rock called Sa Palomera. Platja de Sant Francesc or Cala Bona, this beach which is called Cala Bona for the locals is around 2 km away from the town center. This golden sandy beach is around 200 metres long. Platja de Santa Anna, it’s located just behind the town’s port. Platja de Santa Anna is a small beach, around 75 m long. Platja del Treumal, the smalles beach of Blanes, sandy Beach in an area of natural interest. Blanes has a nightlife with plenty of nightly entertainment, but because of the manly familial tourism that Blanes got, the people you will find in the clubs are relatively young. Most of the clubs in Blanes are located around Platja de S´Abanell. 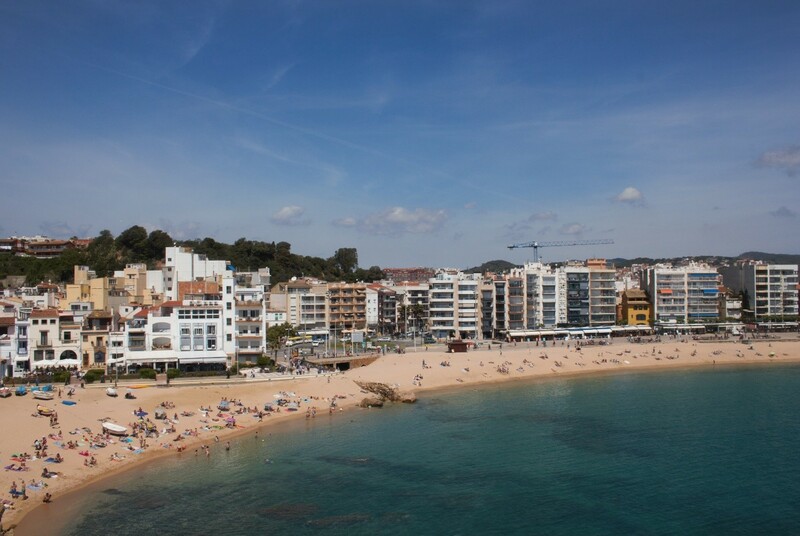 If you want to party, you may need to go to the neighbouring Lloret de Mar, there you can enjoy an extensive range of clubs and bars, lots of them even offer a shuttle service from Blanes. Clubs in Blanes: Disco Arena, Disco Las Vegas. How to reach Blanes from Barcelona. Blanes is 71 km away from Barcelona center and 45 km from Girona city center. By train, Renfe, the regional trains company offers a daily train every 30 minutes from Barcelona. You can take that train for example in Plaça Catalunya or Sants Estació. It takes approximately 1 h and 20 minutes (approx. 4€ one way). By Bus, the Sagalés company offers everyday buses from Estació del Nord in Barcelona to Blanes and stops at every almost town in the coast along the way. It takes approximately 1,5 h (approx. 4€ one way). Tips where to sleep, where to eat and drink and what to see in Blanes. Restaurant Cala, owned and run from a family. This restaurant is recommended as the best ” homemade” traditional food. The quality and quantity of the food is excellent and really affordable. Cafe Jazz & 80’s, great for morning breakfast with Spanish products and evening dinners, really good price for what they offer. Blanes fireworks competition, if you plan to visit Blanes at the end of July, don´t miss that. The fireworks festival, known locally as Concurs Internacional de Focs, always takes place during the Festa Major de Santa Ana de Blanes in the last full week of July in honour of Blane´s patron saint. Castell de Sant Juan, Castle maybe not so interesting by itself, but there is a stunning view on the city. It is worth to go, you will need just 30 minutes to go up to the hill. Remember to take a drink as there is no shop or restaurant at the top. Jardins Botanics, offers over 4000 species, primarily dedicated to Mediterranean and sub-tropical flora. The Garden is easy to reach, from the city center there is a bus that takes you there. Off season it doesn’t get crowded, but in high season, you may have to queue. You can also find a cafeteria, that offers snacks, sandwiches and refreshing drinks. 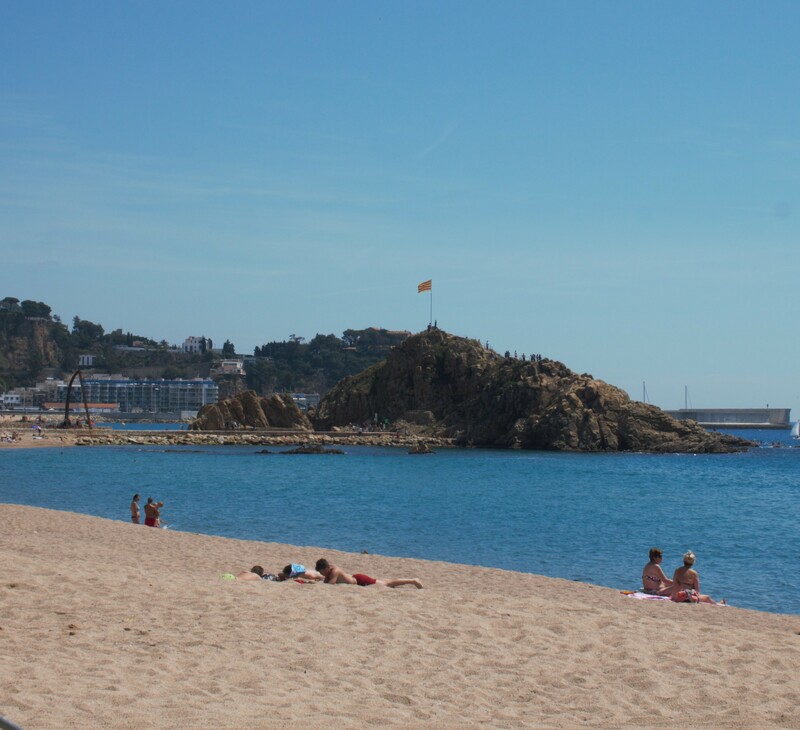 We hope you like our Blanes Born Backpacker Guide, follow us there is more to come! Don´t hesitate to leave any comments!